In Australia, the majority of car nuts are aware of the treasures that can be found at our local Japanese import wreckers. The only problem is, with so many new types of engines arriving, it's difficult to keep track of what's what. 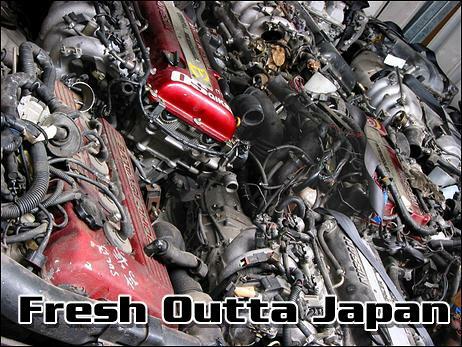 In Part One of Fresh Outta Japan we'll bring you up to speed on the most recent Daihatsu, Subaru, Honda and Mitsubishi nuggets. Daihatsu doesn't offer an awful lot in the performance market, but rest assured these are tough little engines that - with a few mods - can make your commuter car cause a few surprises! 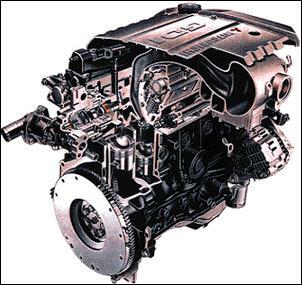 In the Kei class segment, Daihatsu has their EF-DET 660cc, DOHC, 12-valve, intercooled turbo engine, which is good for the class maximum of 47kW at 6400 rpm. Peak torque is listed at a healthy 107Nm at 3600, but bump up boost pressure and you're guaranteed large percentage gains. This is the ideal power-up for your Cuore/Mira/Handi. 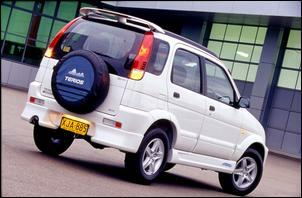 Another hot Daihatsu Kei classer is the JB-DET as found in the Japanese Move. This little cracker makes the same 47kW and 107Nm (though at 6000 and 3200 rpm respectively). Slip this engine in and make your locally delivered Move really live up to its name! Another three-pot engine that touches 47kW is the 1.0-litre EJ-VE. With its high compression ratio, this little atmo cracker makes its maximum power at 6000 rpm, but offers slightly less torque than the 660cc turbo guns - just 94Nm at 3600 rpm. 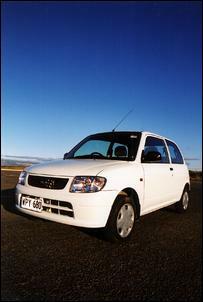 The EJ-VE comes fitted to the Japanese market Storia, which is essentially re-badged as Sirion for Australia. This engine will give an extra 7kW over the local Sirion's 40kW. For the ultimate performance in your Sirion, however, you're talking about the variable valve timed 1.3-litre four-cylinder K3-VE2, which spits out 81kW at 7000 revs along with 126Nm of torque. 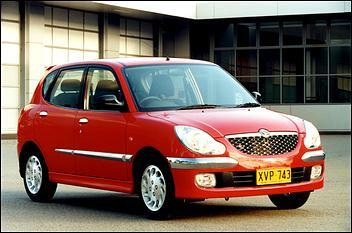 We imagine the local Sirion GTvi's 1.3-litre engine is a slightly detuned version of this, making 75kW. The aforesaid K3 series engines culminate in the K3-VET, which - thanks to a turbo and intercooler - generates 103kW at 6400 rpm and 177Nm at 3200 rpm. This engine is fitted to Japanese front-wheel-drive YRV and the Terios 4WD off-roader and there's no reason it won't fit our local shells. Oh, and - with a bit of creativity - we imagine this 103kW ball-tearer will also fit in the snout of the Sirion - f-u-n! Going larger in capacity again is the HE-EG 1.5-litre atmo four that's good for up to 85kW and 127Nm at 6400 and 3600 rpm respectively. The HE-EG is fitted to the Japanese market Pyzar, giving a 19kW gain over local models. It'll also power-up your late 90s Charade by the same amount. For even more power for your Pyzar or late Charade look out for the HD-ED 1.6-litre engine, which is rated at 85kW at 6300 and 140Nm. Again, this engine comes fitted to certain Japanese Pyzar models, so there shouldn't be too many hassles transplanting it into an Australian-delivered version. Starting with the Kei segment again, the Subaru EJ07 is a 660cc supercharged thug, which churns out 47kW at 600 rpm and 99Nm at 3200 rpm. 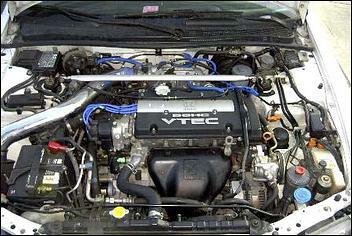 We can only guess that this engine can be made to fit in the 1990 Subie Sherpa. Upping the cube count considerably is the EZ30 3.0-litre flat-six, which - breathing through DOHCs - is rated at 162kW at 6000 rpm and 289Nm at 4400 rpm. This engine can be found in the top-line (non turbo) Legacy, so should slide into any Local Liberty - maybe even the smaller Impreza. 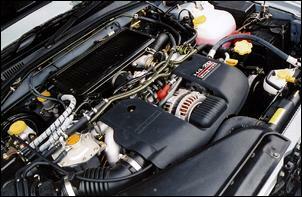 And what of the famous EJ20 turbo? 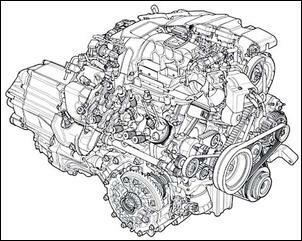 The EJ20 has followed the same formula over the last ten years - 2.0-litres, DOHCs, 16-valves and an intercooled single turbo. Power outputs have ranged from around 147 up to 206kW. The twin-turbo version - available from the Liberty/Legacy only - is rated at 194kW, but offers better bottom-end torque. 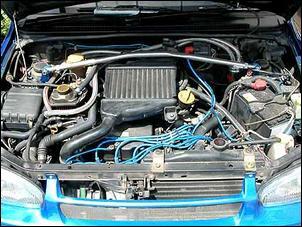 The largest EJ-series flat four is the EJ25, which - not surprisingly - sweeps 2.5-litres. Also breathing through DOHCs, this engine makes 123kW at 6000 rpm and 235Nm at 2800 rpm - a good base for a monster turbo installation. 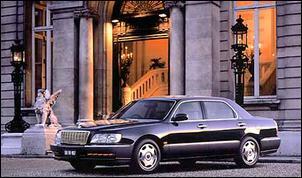 The biggest engine in the Honda line-up is the C35A V6 from the front-drive Legend saloon. Sweeping 3.5-litres, this motor puts out a relatively mild 158kW at 5200 rpm and 312Nm at 2800 revs; obviously it's a fairly laid back performer. If you want a truly serious Honda V6, however, you're talking about that found in the NSX and, to a lesser extend, the Japanese market Inspire. The NSX's 3.2-litre VTEC C32B mill is rated at the Japanese maximum power output of 206kW and puts out 304Nm of torque at 5300 rpm - a brilliant motor if you can find one. Next, the FWD Inspire's 3.2-litre J32A engine puts out 165kW at 5500 rpm and 294Nm at 4500 rpm. This engine could make an attractive swap for a local 4-cylinder Odyssey people mover - the expensive J30A V6 option (still available locally) puts out a less exciting 154kW. The next biggest engine in the range is the Accord's H22A VTEC four, which sings to 162kW at 7200 rpm and 221Nm at a high 6700 rpm. Shaming this, however, is the S2000's F20C motor capable of 184kW at 8300 rpm and 218Nm at 7500 rpm; automotive gold. Next to this you've got the previous shape Integra Type R's 147kW and 186Nm, which comes from a 1.8-litre B18C. The new 2.0-litre Type R engine is presently too new to be found at the wreckers. If you've found a crunched current-shape Civic GLi four-door, a good idea would be to drop in the Japanese D17 1.7-litre motor capable of 96kW and 155Nm of torque. 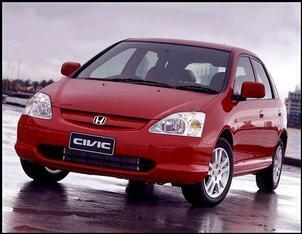 Note that this engine - with exactly the same output - is also available in local five-door Civic Vi models. If you want something completely different to the rest of the flock, why not transplant the 2.5-litre 6G73 GDI (Gasoline Direct Injection) engine out of a Japanese Diamante into your local TE/TF Magna? It's not going to set world alight with 147kW and 250Nm, but - heck - it's great to lower emissions and fuel consumption. 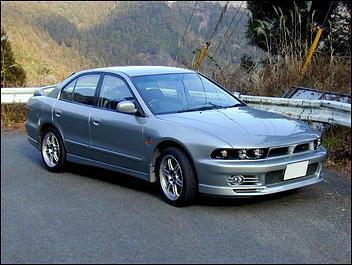 Another GDI engine of relevance is the 4G93 1.8-litre, which comes fitted to the new Lancer Cedia. It's rated at 96kW and 177Nm. The top-of-the-range Japanese-spec Mitsi Galant/Legnum VR4 is equipped with a potent 6A-13 twin-turbo engine, which is credited with 206kW at 5500 rpm and 363Nm at 4000. From all accounts, this engine should fit into the snout of a mid-'90s Australian delivered Galant - a great swap if you ask us. The Japanese Mitsubishi Dignity and Proudia limousines are stuffed with none other than 4.5-litres of GDI bent-eight muscle - 206kW at 5000 rpm and 412Nm at 4000 to be precise. If this engine gets you excited then 8A80 is the engine code to remember. We're not sure what vehicle it would fit, but it'd have to something with plenty of underbonnet acreage. Get thinking! Note that - as a guide - supply of a particular engine in Japan begins to dry up once they're beyond ten years old.